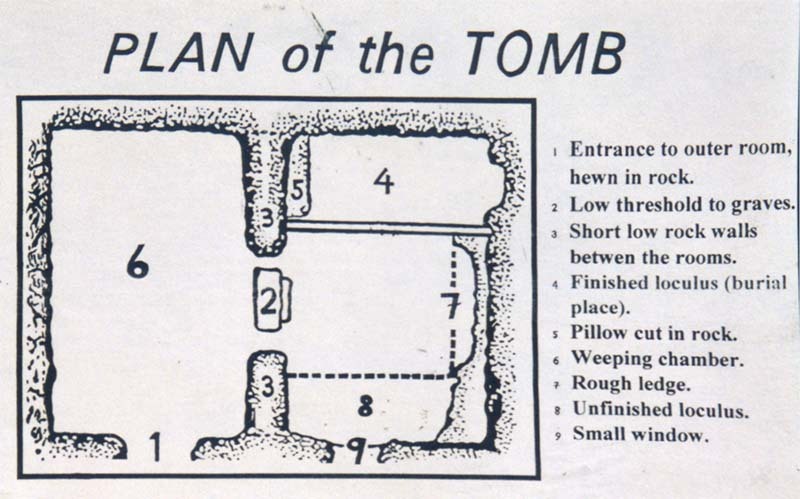 Here is the layout of the Garden Tomb. We’ve entered at #1 and are now standing in area #6, the “weeping chamber”. Area #4 is where someone’s body had been laid. Possibly Jesus’ body. 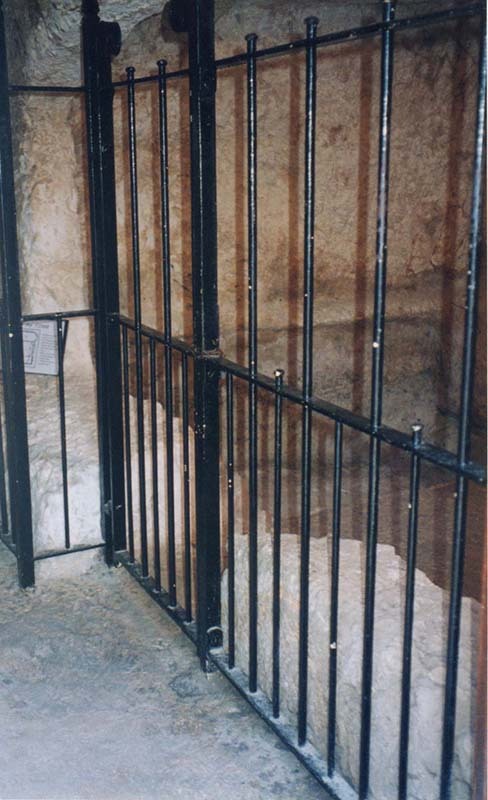 The photo below shows the view into the tomb that Mary Magdalene and the other women would have had. The photo was shot from the tomb entrance. Imagine that the iron fence is not there. 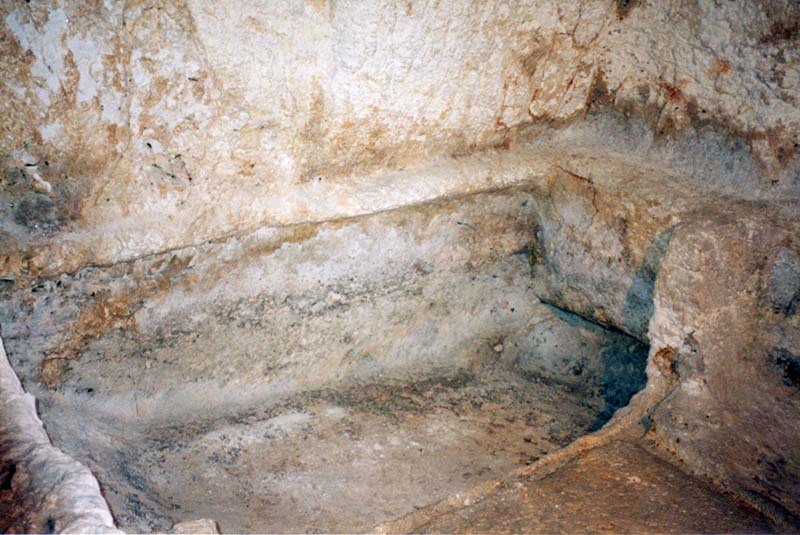 The next photo shows a full view of the burial chamber where Mary Magdalene and her friends expected to find the body of Jesus.